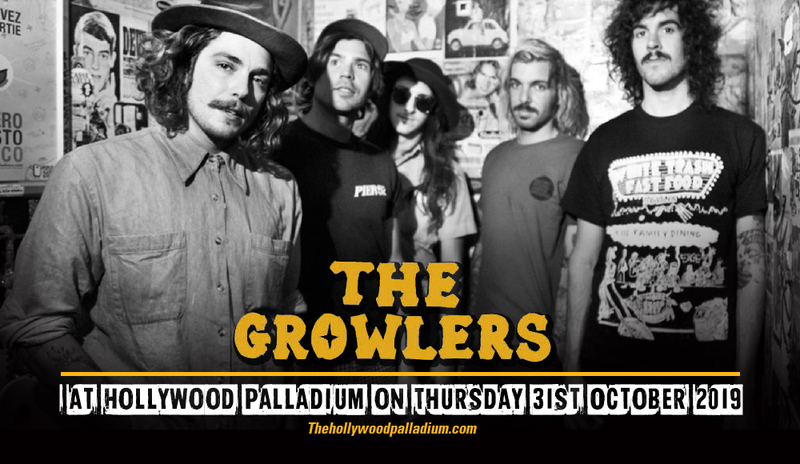 Get ready to catch The Growlers LIVE at Hollywood Palladium on Friday 1st November 2019! With their 60's infused rock sound, The Growlers have created an amazing career that is ever growing! As they bring with them to the stage, the feel of being at Woodstock back in 1969, with their Californian sound… The band have announced that there will be plenty of surprises along the way, including art installations at some of their shows for 2019! Tickets are now on sale for their Hollywood Palladium show – don't miss out! Since their first debut in 2006, The Growlers have showcased their influence by creating their music which holds onto the spirit of the psychedelic 60s – taking fans back to that same kind of feeling such as the summer of love. With their groundbreaking record, "Are You in or Out," The Growlers transformed their career and created a fan base surrounding their hometown in California, across the US and around the globe! With now five albums released, they continue to spread their music as they take to the road and this time for 2019 – travel North America to stop off at venues and give an unforgettable performance to their fans! The Growlers are very much part of the 1960's music revival as they bring the psychedelic sound and spirit of time triggered a revolution in pop and rock music up to date, with a modern approach to the genre. During the era of the 60's, so many incredible groups paved the way and transformed the scene as we knew it, bringing many sub-genres to life and giving the world something that had never been seen/heard before. With the psychedelic rock bands of the time including the likes of; Pink Floyd, The Doors, Jefferson Airplane, Grateful Dead, The Who and more… it's no wonder this incredible revelation has continued through time and influenced so many bands after to walk in similar footsteps! With a collection of awesome live shows under their belts, they have taken to many festival stages along the way and performed at some of North Americas famous venues, along with the likes of fellow bands and artists such as; James Blake, Bon Iver and Violent Femmes. As they take to the road on their Fall/Winter tour – you can catch The Growlers live in concert and be transported back to the high life of the 1960's! If you love that ultimate throwback era and psychedelic rock at it's very best then be sure to get down to your local venue to see The Growlers while you can!